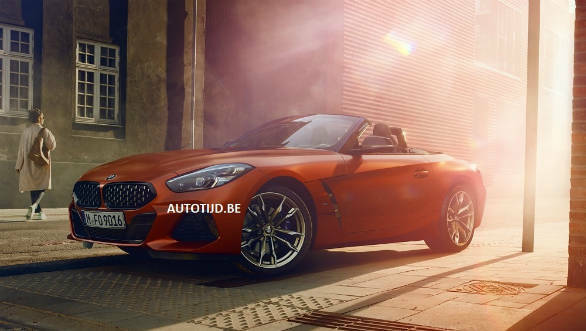 Pictures of the 2019 BMW Z4 have appeared online ahead of the car's reveal on August 24 at the Monterey Car Week. 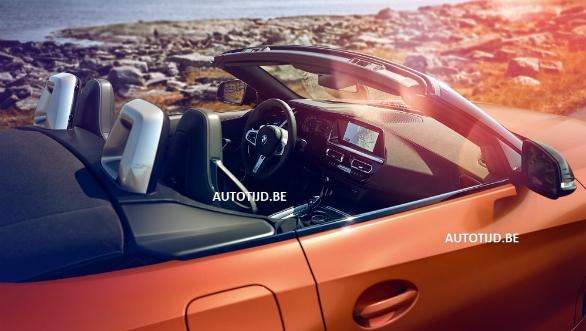 This sports car will be the sixth generation model, the fifth generation car had been in production between 2009 and 2016. The German carmaker has developed this car on a new stell-aluminium-magnesium sports car platform it is working on with Toyota. The Toyota badged version of the same car will possibly be a hard-top model, reintroducing the famed Supra nameplate. The interiors draw a lot of cues from the recently shown 8-Series sports car, with the square vents and digital instrument cluster. Otherwise, much of the switchgear and controls are traditional BMW fare. 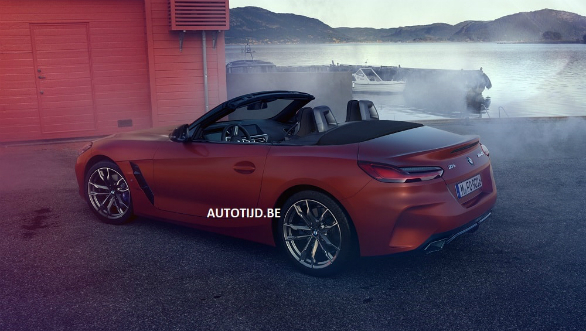 The leaked images are of the top-spec M40i variant. This will be powered by the single-turbo version of BMW's 3.0-litre inline-six, putting out around 350PS. Smaller 2.0-litre turbo versions, , badged sDrive20i and sDrive30i, should make around 184PS and 250PS respectively. 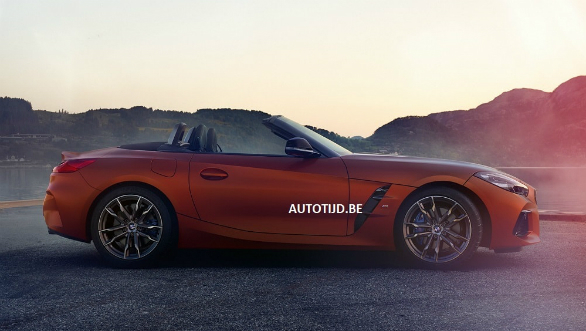 A range-topping Z4M powered by the M3/M4's 3.0-litre twin-turbo motor will most likely make its debut later. All engines will be mated to the 8-speed ZF automatic, sending power to the rear wheels. 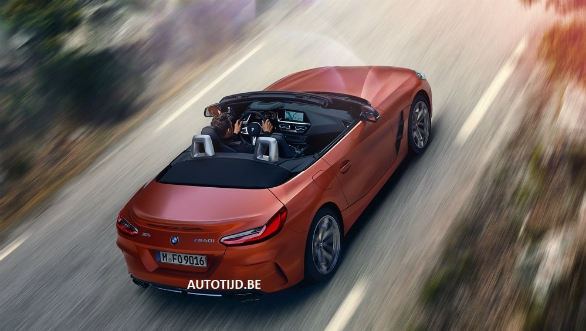 The new Z4 fills a void left in the BMW line-up since the departure of the last-gen car, This new model seems to toe a more aggressive line than the last car as well, appeal also to the more traditional BMW buyers. This will help it compete better with rivals like the Porsche 718 Boxster and Audi TT.